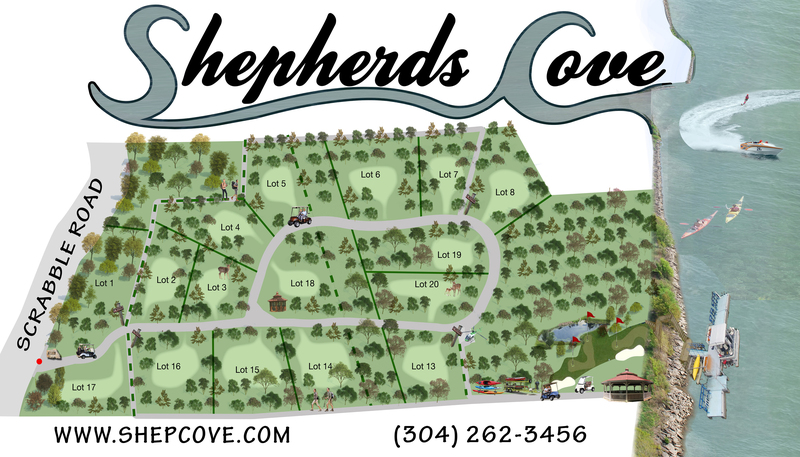 Shepherds Cove is a unique community purposely designed to appeal to the discriminating buyer. It is an "up-scale" community but does not have McMansions packed side by side on small lots denuded of their natural attractiveness. The planners of Shepherds Cove went out of their way to carefully protect and capture the dramatic natural beauty of the Potomac Highlands. Each lot was carefully laid out to provide both a level, well-drained location for your new home and the opportunity to surrounded your home with a park like setting of mature trees and natural foliage. The utilities to your Lot were all placed underground to further protect the aesthetics of your home setting. Select lots are fortunate enough to have rock outcroppings adding visual excitement and drama of your homesite.